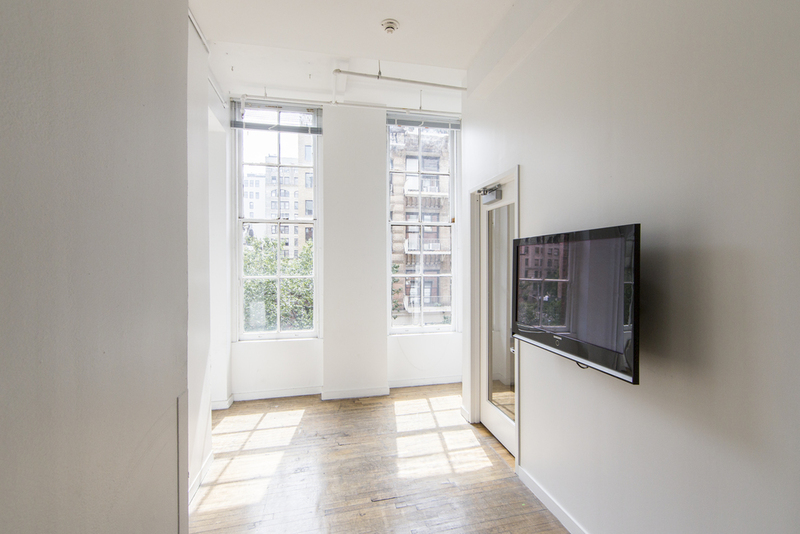 The renovation of the ground floor at 65 W. 11th Street was completed in March, 2018. The existing cafeteria on the south side of the floor was converted to a café and lounge. The dropped ceiling was removed and all new lighting installed to make a vibrant space for the TNS community. The north side of the floor where two seminar rooms were once housed was turned into the new Millimeter Reading Room with soft seating for reading and tables for quiet study. 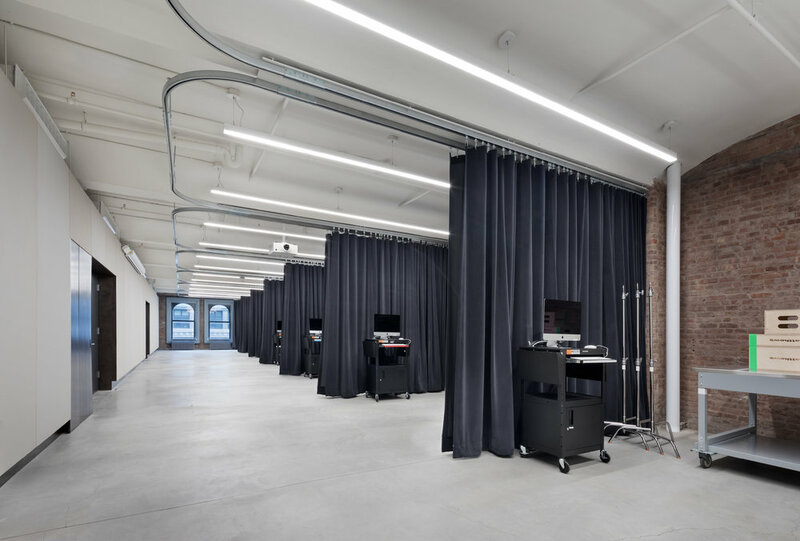 The new hub for the School of Art, Media and Technology (AMT) at Parsons will include open and private administrative offices, meeting rooms, shared work spaces, industrial design studios, digital animation labs, and shoot studios. It will occupy the entire fourth floor of the Sheila Johnson Center or approximately 14,000 square feet. Demolition and construction will begin in mid-December, 2016 and will be open for classes for the fall semester of 2017. 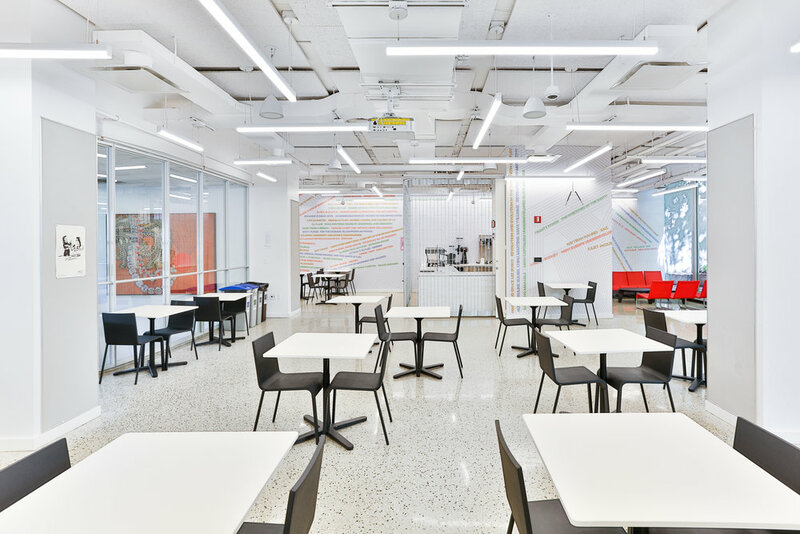 Architectural design at the AMT Hub is by Rice+Lipka Architects. The 12th floor of 2 West 13th Street is currently being turned into the new Hub for the Parsons School of Constructed Environments (SCE). The western half of the floor is comprised of three new architecture studios with abundant daylight. The studios flank a centrally located Critique Space where students and faculty can come together to review and present their work as well as attend lectures and classes.The offices for the SCE faculty and staff will be located on the east end of the space, being easily accessible to the students within the department. Between the learning and administrative sections of the Hub will be coffee bar. Project completion: October 28, 2016. Cellar, 2 and 3 floor. 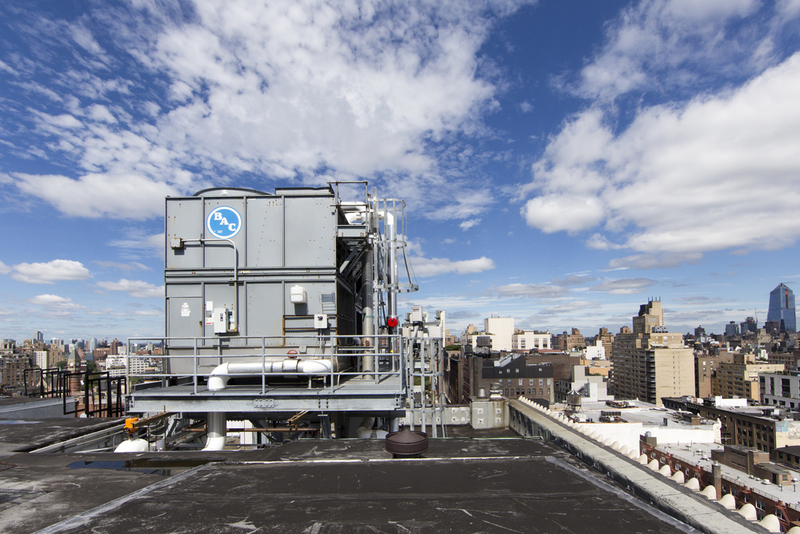 The 27,000 square foot Making Center encompasses the cellar and 2nd floors of 2 West 13th Street and 66 5th Avenue is complete as of September, 2016. 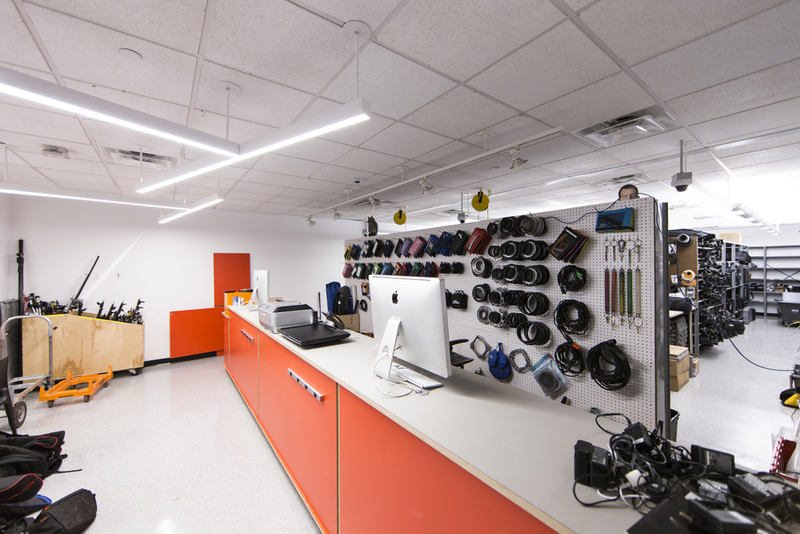 It is a 21st Century facility designed to support the most advance practices in digital technology and physical craft. 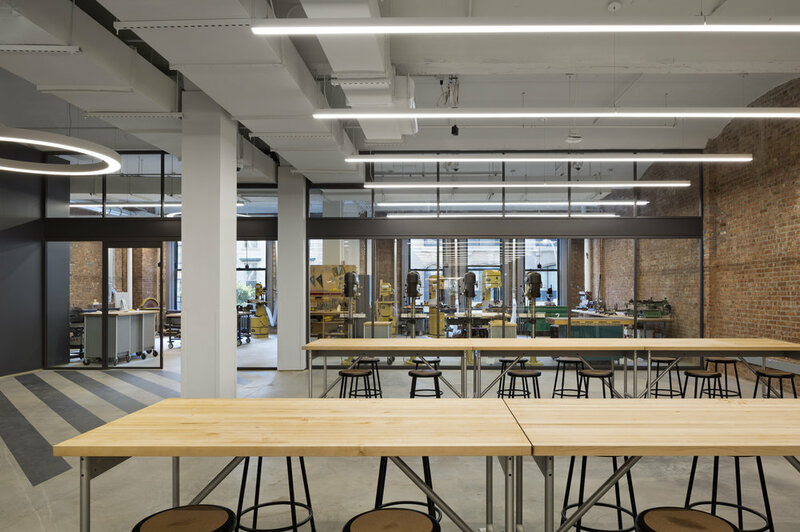 The Making Center will enable students and faculty to approach craftsmanship and manufacturing at the intersection of new and traditional technologies. In large, open, flexible spaces. 3D printing, textile productions, wood and metal fabrications, printmaking and ceramics will all be operating simultaneously in one large center focused on both the melding and collaboration among a multitude of creative disciplines. This required the complete gut of floors Cellar, 2, and part of 3, along with a number of smaller, ancillary projects associated with it. 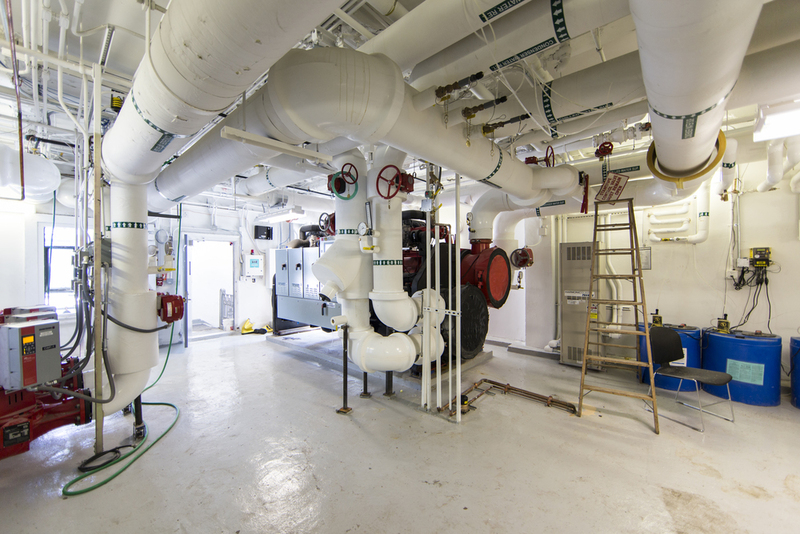 It has involved moving materials and equipment over to 25 E. 13th Street and other SJDC spaces, bringing in other equipment and new furniture, as well as reworking a significant part of the infrastructure of this complex, including slab-reinforcement and waterproofing. The project was designed Lyn Rice of Rice+Lipka Architects. Project completion: August 26, 2016. Convert Room 001 and 002 into a single equipment cage for Parsons School of Design. Project completion: July 30, 2016. 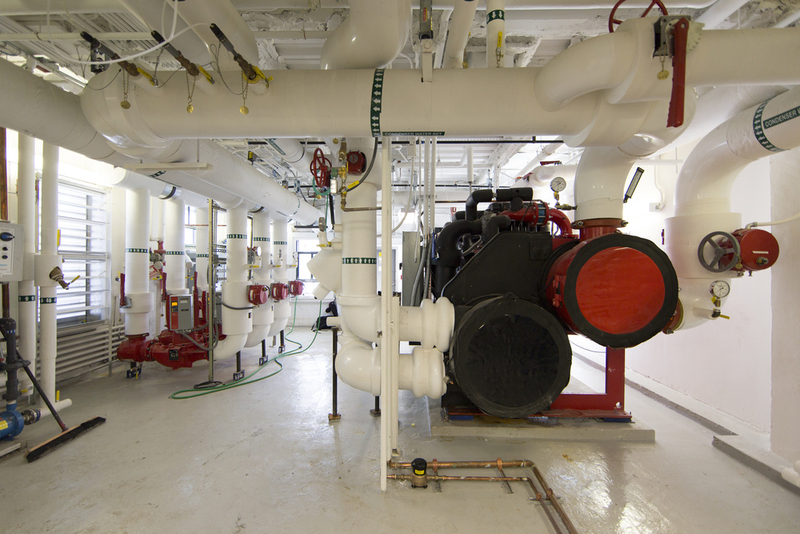 The project included the removal of the old unused absorption chiller and creating the infrastructure for the chiller water at 66 Fifth ave, The new chiller was installed in the unused former water tank room located at the roof level and crating available space for Parson programs at the cellar at 2 West 13th. Project completion: July 16, 2016. After Mannes moved down from 85th Street to 55 W.13th Street, they wanted to brand the building for Performing Arts. Tim marshall suggested that we retain the services of IRB in Paris who are the graphic designers that we used on University Center. They did an installation which included a series of names of previous alumni associated with Performing Arts, that is Drama, Mannes, and Jazz, as well as course titles and other things that were applied to the 13th Street windows and vestibule doors and a more solid, wallpaper application to the east wall of the vestibule going into the lobby space. Project completion: November 23, 2015. The project is to demolish existing administrative space and convert the space into 1 large studio on each floor. Project completion: August 20, 2015. Floors 1, 2, 3, 4,7 Mezzanine & Partial Basement. Arnhold Hall at 55 West 13th Street was already home to The New School for Jazz. The extensive renovation of the building completed in September 2015 enabled The New School's Mannes College of Music to move from the Upper West Side to share the space as well. The New School for Drama is also sharing spaces within the building so that Arnhold Hall now houses all three divisions that comprise the College of the Performing Arts. Five floors of Arnhold Hall were vacated and turned into state-of-the-art classrooms, practice rooms and ensemble halls. A large performance hall was created on the fourth floor and a "glass box" performance area now occupies what was formerly a library on the ground floor. This ground floor venue offers a showcase for students and faculty of the performing arts divisions to the university and the neighborhood as it is faces directly onto 13th Street. Project completion: August 15, 2015.